BMW the German two wheeler company is all set to launch its new S series bikes in India. The model of the bike to be launched is BMW S 1000RR. It is a super sports bike and is having a mind blowing look. The look and performance of the new bike goes in hand to hand. The BMW S 1000RR will be well known for its look, performance and power. The bike is ready to be launched in the Indian market soon. The other good news for Indian bikers is Hero Hodna has launched New Hero Honda Karizma R in India with lots of cosmetic changes. The main features of the BMW S 1000RR is its power, look and its performance. The bike is having a fairy front look with a digital dashboard. The fuel tank and the seats of the bike are designed as per the person comfort. The bike is having a funky style of seat which is unique among all other super sports bikes. The front head light of the bike is very different from any other bikes in India. 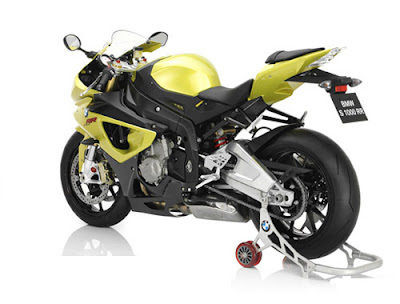 The front part of BMW S 1000RR is made up of plastic frame and the also the front fender is painted with the body color. The bike is provided with a telescopic suspension. The broad wheel of the bike gives the exact look of a sports bike. 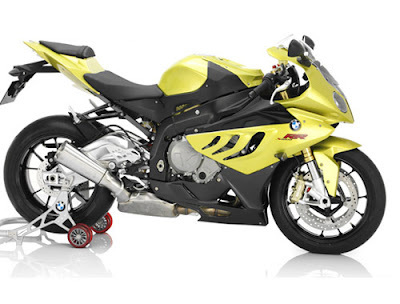 The BMW S 1000RR is well equipped with a big motor like other super sports bike. The bike is having water cooled 4-stroke, four-cylinder engine. The engine is having two overhead camshafts, four titan valves per cylinder. The displacement that is produced is 999cc. the bike generates a top power of 142 kW (193 hp) at a rate of 13, 000 rpm. The torque that is produced is 112 Nm. The compression ratio is 13.0:1. The compression ratio makes the bike a super bike. The bike is well equipped with digital engine management including knock sensor. It is manufactured according to the emission standard EU-3. It is eco-friendly two wheeler bike and thus it is expected to accept by most of the bike lovers. The mileage of the bike is supposed to be around 17.8 kmpl. The price of the bike is not yet announced and supposed to be announced soon. BMW is a good two wheeler manufacturer and is supposed to prove this time also.